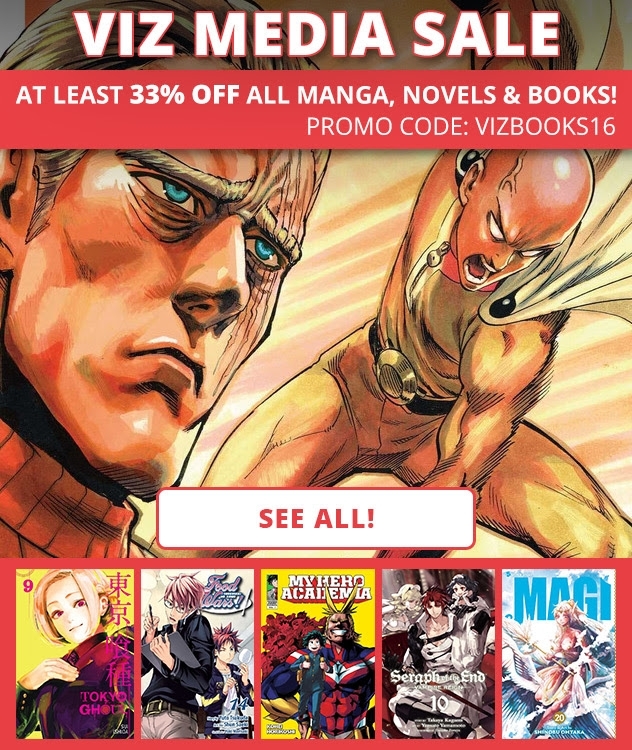 RightStuff is running a Viz Media sale for at least 33% off on books, novels and manga! The sale is available for all Viz literature. Use the promo code VIZBOOKS16 at checkout to receive the discount. Also, today is the last day for Funimation’s DVD and Blu-ray sale! Select titles provide savings as high as 40% off. Visit RightStuf’s website to see the selection and use promo code FUN16 at checkout to receive the discount. If none of those sales interest you, RightStuf’s weekly deal is comedy themed. There are discounts on a plethora of manga and anime that will make you laugh, including the likes of Sweetness and Lightning and Cromartie High School. Tyler Trosper graduated Ball State University with a major in Creative Writing and a minor in Professional Writing. Originally joining Operation Rainfall as an anime news writer, he also writes gaming news and dabbles in reviews. His one true love in life is Xenosaga, and he prays daily for a fourth game.